Alright, spill the beans. What did Santa bring you this year? I bet I can guess – an Instant Pot. They are all the rage right now and with good reason. I’m pretty obsessed with mine! 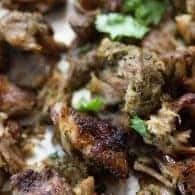 I used it to whip up these pressure cooker carnitas in less than an hour. That’s some sort of miracle if you ask me! 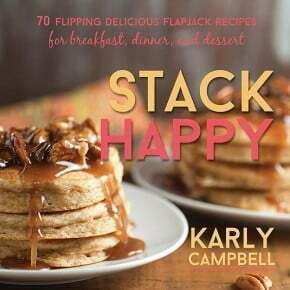 After the holidays, we’re all looking for something a little quick and easy. These pressure cooker carnitas fit the bill perfectly. I’ve been working with Smithfield this year to bring you new recipes featuring their delicious cuts of pork. They just recently came out with boneless pork shoulder seasoned carnitas and they’re so good! I love that they do the seasoning work for you! You just pop open the package and cook ’em up. Talk about easy! 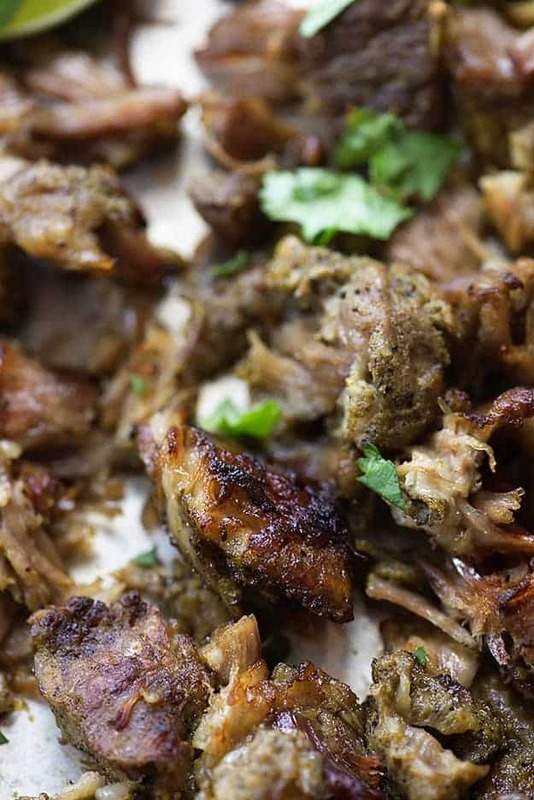 These carnitas come perfectly seasoned with garlic, cumin, onion, and oregano. I cut the meat into 2 inch chunks and placed it in my pressure cooker with some orange juice for a little bit of citrus sweetness. These will cook on high pressure for 27 minutes and then you’ll let the pressure naturally release. This took about 15 minutes for me. Once the pin has dropped and the pressure has released, you’ll shred the meat and pop it onto a cookie sheet. These crisp up beautifully under the broiler in no time at all. 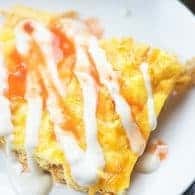 I love the contrast of tender meat with smoky seasonings against the sweetness from the orange juice and the crispiness from the broiler. It’s all just magical. If you didn’t get a pressure cooker for Christmas, go buy this one. Right now! Highly recommend it. Anytime you can take a hunk of pork and get it tender enough to shred in less than an hour, you know you’re living life right. I’ve turned carnitas into many different dinners in my day. They obviously make fabulous tacos, topped with a bit of cilantro and onion, and a dash of Cholula. 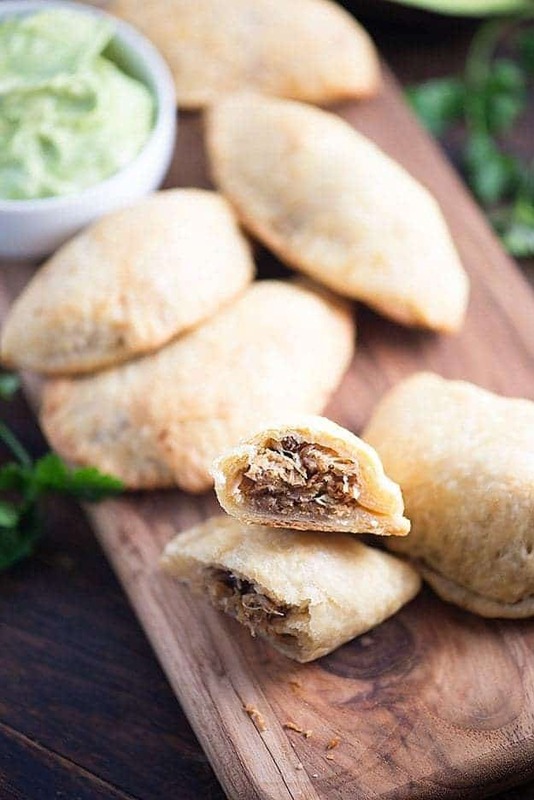 But, I like to get creative and these carnitas empanadas are a real winner. The homemade empanada dough is a dream to work with and the avocado dip is always a plus. I also like to put leftover carnitas on pizza crust for a carnitas pizza. The richness of the meat, the chewy crust – it’s a match made in heaven. Throw in some onions and peppers, a little cheese…mmm. So good! Pressure cooker carnitas are ready in less than half the time it takes for the traditional stove top version! Cut the pork shoulder into 2 inch cubes and place in the pot of an electric pressure cooker. Cover with the orange juice and brown sugar. Close lid and set vent to sealing. Cook on high pressure for 27 minutes. Let pressure release naturally, about 15 minutes. Remove the pork from the liquid and shred with two forks. 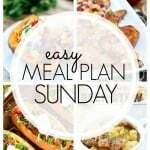 Place meat on a metal cookie sheet and squeeze lime juice over the top of the meat. Sprinkle with salt. Place under the broiler until meat is crisp on the edges, about 5 minutes, stirring occasionally. 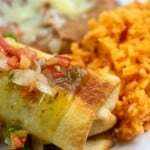 Sprinkle meat with cilantro and serve as a filling for tacos, in a burrito, or over rice. 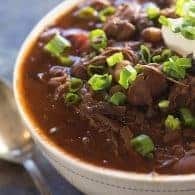 Most anything you do in a slow cooker can be done in a pressure cooker, just faster!!! I’ve used one for years. Wow, so quick and easy! 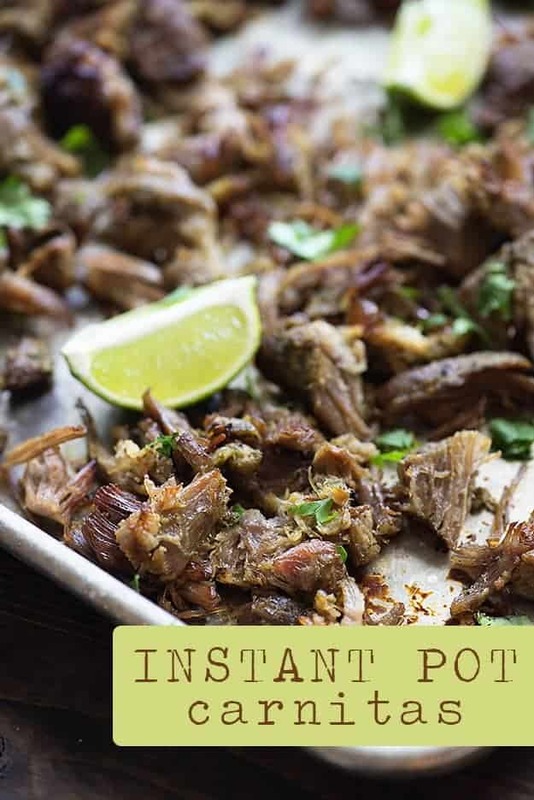 I haven’t made carnitas in a long, long time—now I’m thinking this is the perfect excuse to get an Instant Pot 🙂 Love those crispy edges!! The crispy edges are my favorite part! I haven’t had carnitas in so long, and I think you’ve just sold me on a pressure cooker! 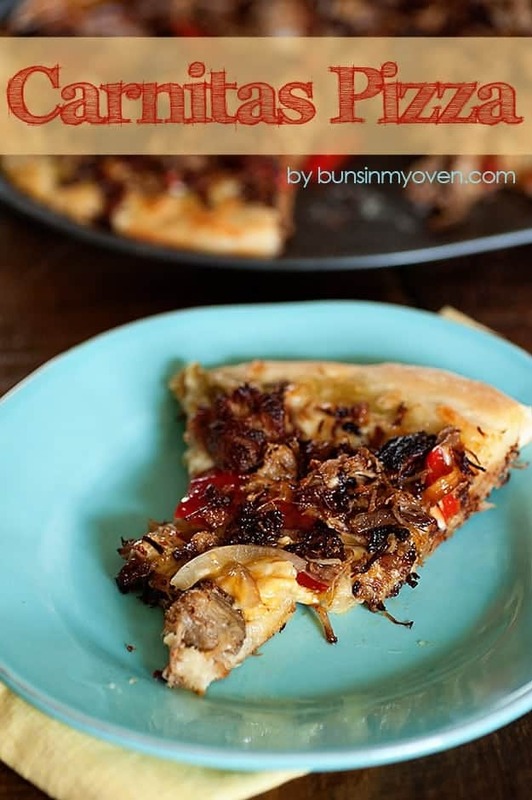 Looks so good, and your carnitas pizza – all sorts of yes!! Oh goodness! Yeah! This is something that my whole gang would flip over! 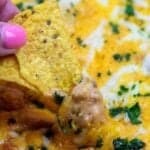 Clearly I’ve gotta make this asap! Oh, you make me want to get out my pressure cooker right now and make me a batch of carnitas. Thanks for the wonderful ideas. 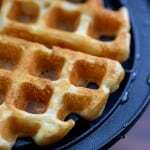 Thank you for your recipe. 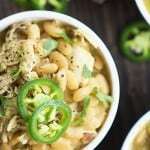 I have only had my pressure cooker for a month and couldn’t resist trying this recipe. Even my picky little toddler ate it. Delicious!!! Probably one of the most insanely perfect carnitas I have ever seen in my life 😀 i can’t wait to make these someday!!! thank you so much for sharing this with us. God bless you!! What if I can’t find the preseason and pork shoulder and I have to just use a regular pork shoulder? What seasonings would you add, and when would you add them in the process? Thanks! Auto texting with the voice text option. Sorry. The word was preseasoned. ? I would generously season the pork with cumin, salt, pepper, garlic powder, and onion powder. Forgot to add that I’d do this at the beginning – add the seasoning to the pork with the OJ. I have 10 people coming for dinner. 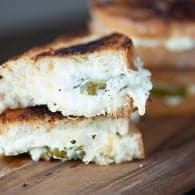 Do you think I can double this recipe without issues? Honestly, I’m not sure. 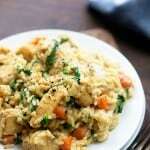 I haven’t experimented a lot with doubling recipes in the pressure cooker. You’d want to be sure not to overfill it, but if your cooker is large enough, it should be fine. My Walmart carries the carnitas and a lot of other varieties of their fresh pork. 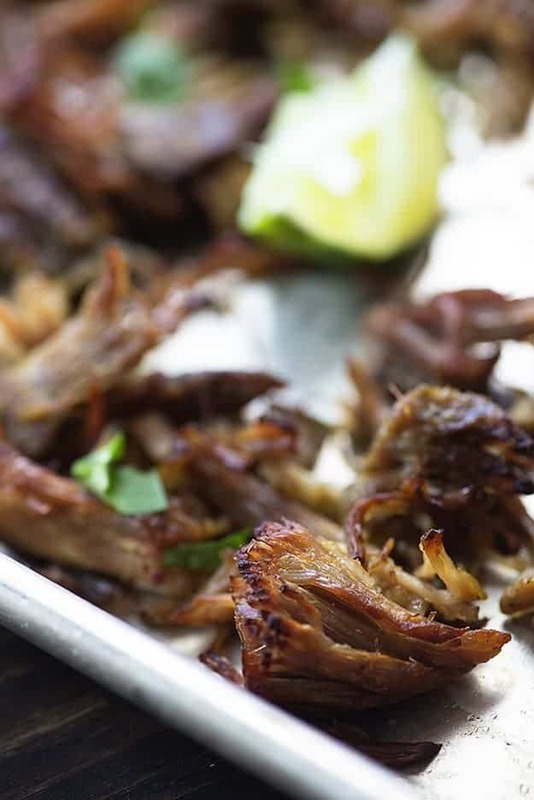 Your carnitas are fabulous AND simple. 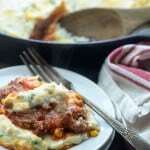 I put small corn tortillas in a muffin pan crisped them up in oven and spooned the meat in. Big hit with a very picky family I Nanny for! Sounds like a fun little handheld dinner! Do you have any advise on where to locate the Carnitas? I have been searching for them to no avail. I live in the Dallas/Fort Worth Metroplex. Any help would be appreciated!! Hi Paula! Sorry you’re not able to find these – so frustrating. Just grab a boneless pork shoulder about that size and add in 2 teaspoons of cumin, 4 cloves of garlic, and bump the salt up to 1 tablespoon. Hope that helps! 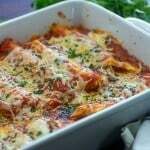 I just made this tonight and it was delicious! We didn’t have anything leftover. Next time I will definitely double the recipe! These look wonderful! I have less meat…maybe a pound and a half. Do I shorten my cooking time? I’m honestly not sure how much time you’ll need for that amount of meat. I think it will take less time, but probably not by half. Sorry I can’t help more.